The customer approached Paragon with a number of issues. They needed a solution for their multiple problems. Firstly they wanted a film that would preserve the furnishings and fabrics, carpets, and artwork from the damaging UV rays of the sun. Secondly, they wanted to increase the safety and security of their family by making it difficult to break through their home’s glass windows and doors & thirdly they wanted to reduce heat & glare to increase comfort as they dine in the summer months. Expressing their concerns; the glass in their dining room was not safety glass. The customer questioned if Paragon could provide such a film that could be applied to the inside of the existing glass to bring it up to Australian 2208 as a Grade A Safety Glazing Material safety standard, & block out heat, glare & UV with out having to replace all of the glass. 3M™ Scotchshield S35NEAR400 Neutral Safety & Security Film: 28 Micro Layers, 56% Solar Energy Rejection, 58% Glare Reduction & 99% U.V. Protection. 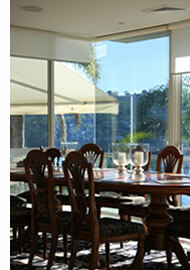 Because the Dining room was used so often, Sunscreen recommended using a 26-microlayered window film, S35NEAR400 Superior Strength Neutral, which is part of the 3M Scotchshield Ultra Safety & Security line of window films. In addition to blocking up to 56% Solar Energy, 58% Glare & 99% U.V. 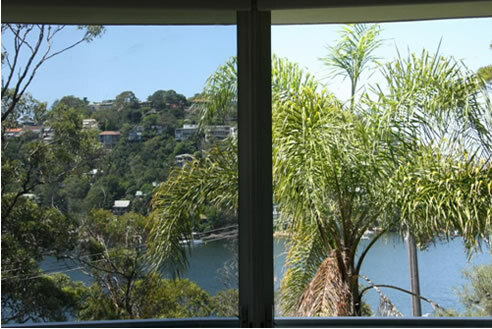 Protection of the sun’s damaging UV rays, these window films dramatically increase the level of safety and security of glass windows and doors by serving as neutral shield to make it extremely difficult to break through glass. By strengthening the window surfaces, the film will substantially reduce the effects of flying shards of glass if broken, increase security & safety, protect furnishings from damaging ultra violets rays & reduce heat & glare up to 56%. Since the application, the Family, have reassurance with the added protection preserving the building’s furnishings and their personal health in addition to increasing safety and security. Low interior and exterior reflectivity, enjoying clearer views.